I sure do love a pasta salad! 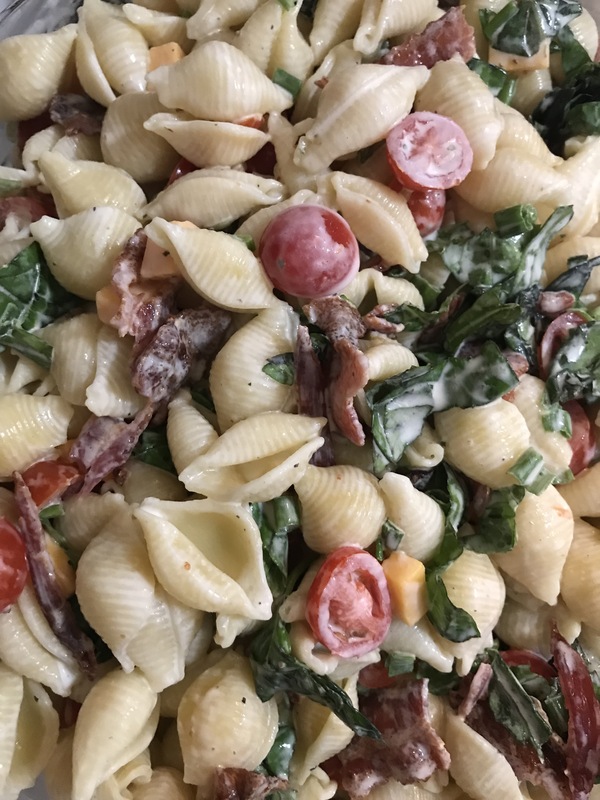 And I could eat this pasta salad as a side or even for my main meal–it’s that good! Like clockwork, when the weather gets warm, I crave this pasta salad and a hot dog. ha! Thank goodness the temps are back up in Kansas and the sun is shining! I made this for my nephew’s 1st birthday party on Saturday (more on that later this week!). 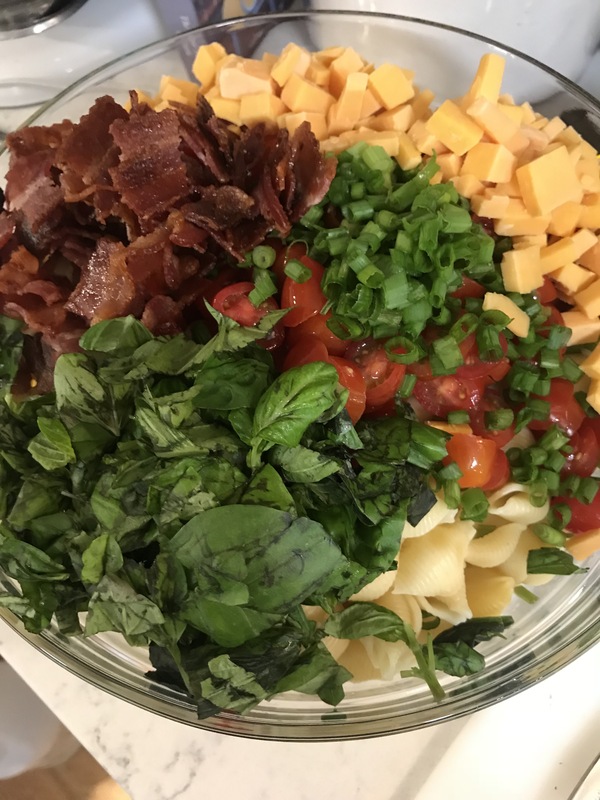 It’s a pretty quick recipe to put together and I always get compliments on it! *Bacon cooking – I place my uncooked bacon on a foil lined cookie sheet into a COLD oven. Once bacon is in, heat oven to 425 degrees and cook for 18-20 minutes. It always comes out so crispy and perfect!